healthy hair | hair, there and everywhere! 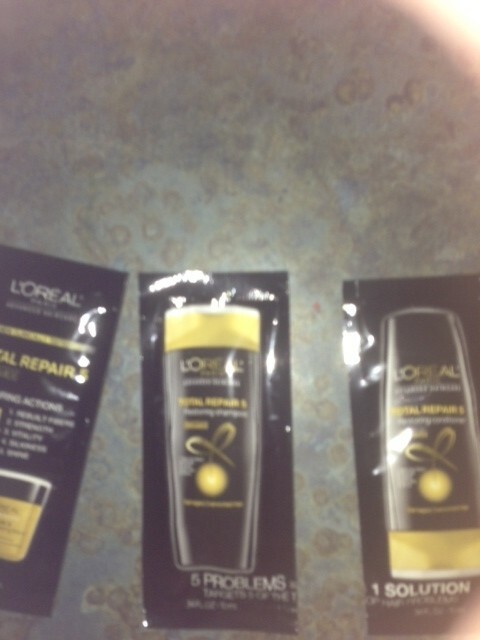 I received a sample of the L’Oreal Total Repair 5 line in my Sunday paper this past weekend. It claims to improve the following 5 things with the use of ceramides: rebuild fibers, strength, vitality, silkiness and shine. Ever the curious girl, I decided to use the samples on this Wash Day because if I didn’t like how my hair felt afterwards, I know another Wash Day was on the horizon. Deep Conditioning Treatment: L’Oreal Advanced Haircare Total Repair 5 Damage Erasing Balm. 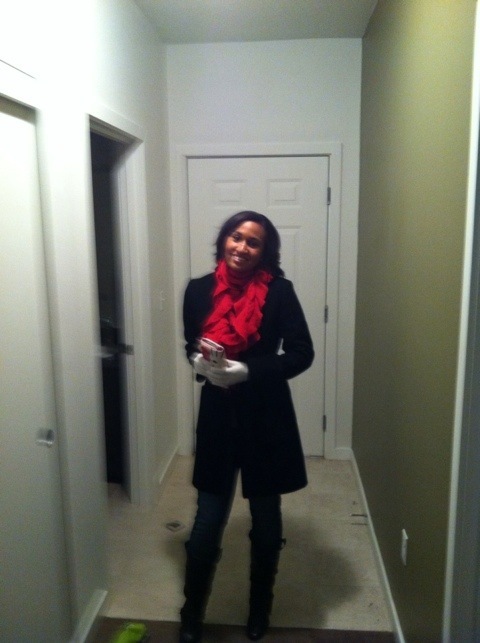 I deep conditioned for about an hour (30 minutes under the dryer). 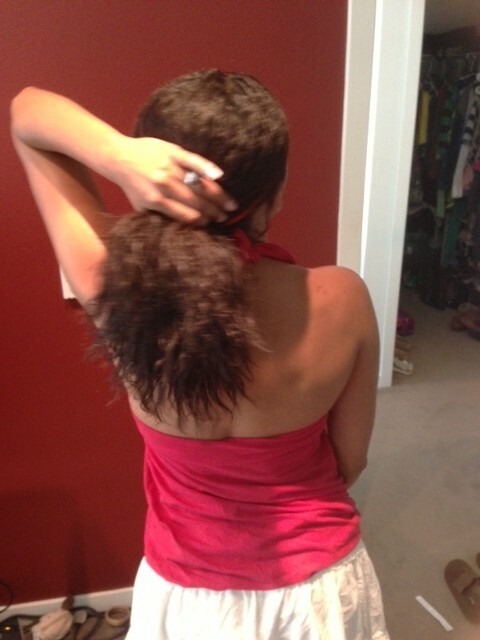 I sat under the dryer for about 20 minutes with my hair hanging down (the front was tired down with a scarf). I must say, my hair felt pretty nice after the Wash Day. I was afraid that the L’Oreal products would make my hair stiff and hard, since a lot of “repair” products are protein-heavy and my hair just doesn’t like a lot of protein. 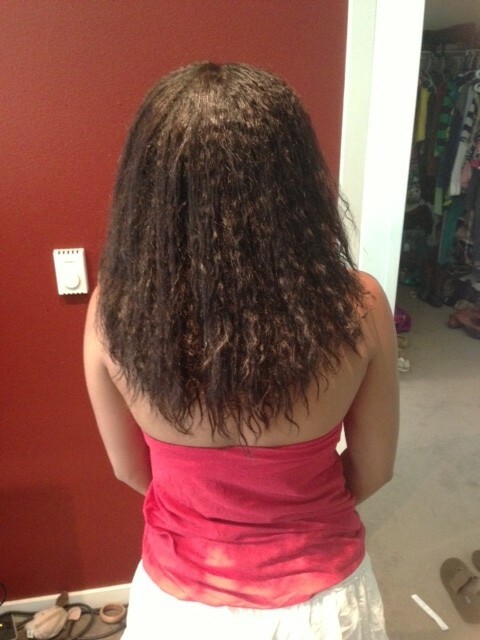 Instead, my hair was soft, moisturized and I had no broken ends when I smoothed oil over the dried hair. I even ordered some more samples of these products, which you can do here. There are even offers for other hair maladies and needs, such as frizzy hair and color-treated hair. Here’s my hair afterwards! I love how my hair dries with these little waves in them! I plan on washing again Saturday or Sunday … until then, friends! Am I there yet? (and other ramblings) – Progress Pics! So as I previously mentioned … I am about .5 inches away from BSB. I think it is high time I evaluate my goals and see how far I am from the other milestones of hair growth land! First of all, I must recount about how much hair I have grown AND retained this year. It is about 4 inches from January – August, which is amazing, since some people do not retain that in a year. At that rate, I retain .5 inches per month (counting the dustings and breaking ends), so yeah, BSL could definitely be in my immediate future. From January – August, I have retained about 4 inches of growth (from about a 3 on my shirt to now past 7) … that is pretty wild if I must say so myself. 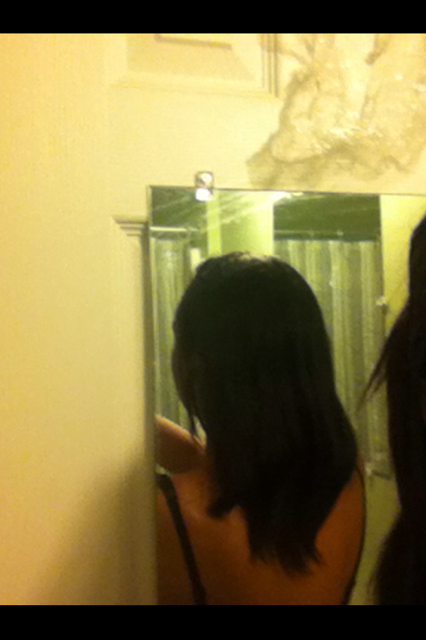 Here is my hair growth from the beginning of my hair journey in January to August. Sometimes it helps to compare and see how far you have come! Note to self: get a higher fitting bra. The bras I wear (and like) are darn near MBL. I need to pick out a bra that will more accurately gauge that length for me! So my short-term goal is to hit BSL by December/January. It would be great if I was able to grow from full shoulder length to BSL within a year’s time (my one year HHJ will be in January!) – This will not happen. It will end up being me going from full SL to BSB in a year. I think that BSL is going to happen in spring 2013. It took me from August to December to get a full inch to get to BSB! My mid-term goal is to hit MBL by mid-May 2013. I think that is totally doable unless I am faced with a setback. It will take me about 8 months to grow and retain that amount of hair. Again, this is not going to happen unless I am given a miracle growth of hair! From today, I am about 3.5 inches away from MBL. That will take me about 8 months of growth and retention to get there. I am predicting this will happen in the Fall of 2013. My long term goal is WL. That is probably 12-18 months away depending on my trimming schedule. I want to be WL by the time Nathan finishes law school in May 2014 … I think that will be a great milestone to look forward to … for the both of us! SO AM I THERE (BSL) YET? This blog will focus on my healthy hair journey. For the past year, I have been growing my hair out and am looking for a new way to take this hair growth to the next level. I have been inspired by this awesome blog Just Grow Already, but I thought that I would take an alternate look at hair care, especially from a exercise maven’s point of view! I am also looking forward to trying fun new ways to keep my hair healthy as well as posting my reviews. Thank you for being a part of this journey!!! Buckle your seatbelts, it’s going to be an awesome ride!! Peace, love and hair grease! !